UNITED NATIONS — Tis’ the season in the General Assembly for some serious if generally overlooked work and reports. An Assembly committee has soundly condemned the continuing human and political rights abuses in three global transgressors; Syria, the Islamic Republic of Iran, and the quaintly titled Democratic People’s Republic of Korea, aka North Korea. The censure was clear and unequivocal in condemning the abuses in each of the countries. The Syria rights draft resolution, sponsored by Saudi Arabia and the United Stares, received 132 votes in favor, 12 against, and 35 abstentions. This year’s ballot saw ten additional states support censure, reflecting the deteriorating human rights situation in Syria in the midst of the civil war which has taken at least 30,000 lives. A 2005 video grab from Japanese TV shows North Korean prisoners heading to a public trial. Beyond the block of Western states condemning the Damascus regime, the resolution saw a surge of support by Arab and developing countries. Predictably opposition come from China, Cuba, Bolivia, Iran, Russia and Zimbabwe among the few. Abstentions included India, Pakistan and South Africa. The rights resolution adopted on the Islamic Republic of Iran was drafted by Canada, the Czech Republic, France, the U.S. among others and nonetheless saw a bumpier ballot in the committee. While 83 countries supported censure of Teheran, 31 were against and 68 states abstained. The resolution expresses “deep concern at serious ongoing and recurring human rights violations in the Islamic Republic of Iran. torture and cruel, inhuman or degrading treatment or punishment including flogging and amputations…alarming high frequency of carrying out the death penalty…the failure to abolish the execution of minors…severe limitations and restrictions on the right to freedom of thought, conscience, religion or belief”. Equally the resolution chastised “pervasive gender inequality and violence against women…including the limiting access to higher education, including the closure of seventy-seven fields of study to women by thirty-six universities.” The list of shame continues. Despite heinous civil political and religious abuses in the Islamic Republic, the Teheran rulers are able to marshal diplomatic support from their usual base such as China, Russia, and Venezuela. Recall that as Chair of the 120 member Non-Aligned Movement (NAM), Iran has enhanced political clout in the developing world. Looking at the Iran vote we see that while the U.S. and European Union states, and many South American states supported censure, those opposing it included the usual suspects as well as Afghanistan, Egypt, Kazakhstan and Pakistan. Notably the abstentions included such heavy hitters as Brazil, Indonesia and South Africa. Thus while the resolution passed in the 193 member committee, the block of abstentions was noteworthy and reflected a political acquiescence, although not support, of the Teheran regime. Significantly this year resolution on North Korea offered a sordid litany of the Pyongyang’s human and civil rights transgressions; the draft sponsored by Japan, South Korea, and the USA among others was passed by consensus, not a formal vote. 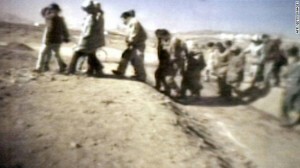 Independent human rights observers estimate there are approximately 200,000 political prisoners in a system of camps which mirror the Soviet Gulag system. Interestingly the resolution cites, “collective punishments extending up to three generations, and the existence of forced labor.” Equally the incidence of “the subjection of women to human smuggling, forced abortions, gender-based discrimination. and violations of the rights of children” are commonplace in this neo-Stalinist regime. While the resolution “strongly urges the government of the Democratic People’s Republic of Korea to respect fully all human rights and fundamental freedoms” this is not likely from the bizarre Marxist monarchy which runs North Korea like a fiefdom. Though the human rights censures may be stinging, these rogue regimes could care less. Still international shame remains vital, lest the culprits think they act only in the shadows. John J. Metzler is a U.N. correspondent covering diplomatic and defense issues. He writes weekly for WorldTribune.com.